This year, I am really trying to be more focused in rewarding my Downlines. I have always recognized their accomplishments in our meetings but I wanted to start giving out small treats as well. Last Thursday was our Downline Meeting and I had a couple different prizes for some of the ladies. The first was a pretty package of rhinestones for Lyndi, who promoted to Bronze Elite this month. This is a big accomplishment since she originally said she signed up just so she could go to the Stampin Up Convention with us. It’s funny how things work out. Lyndi was originally my upline ten years ago! 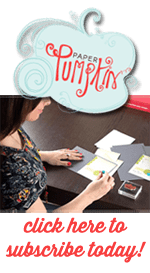 She dropped from Stampin Up a number of years ago but would periodically still come to our Downline Meetings because of the friendships she’d made. 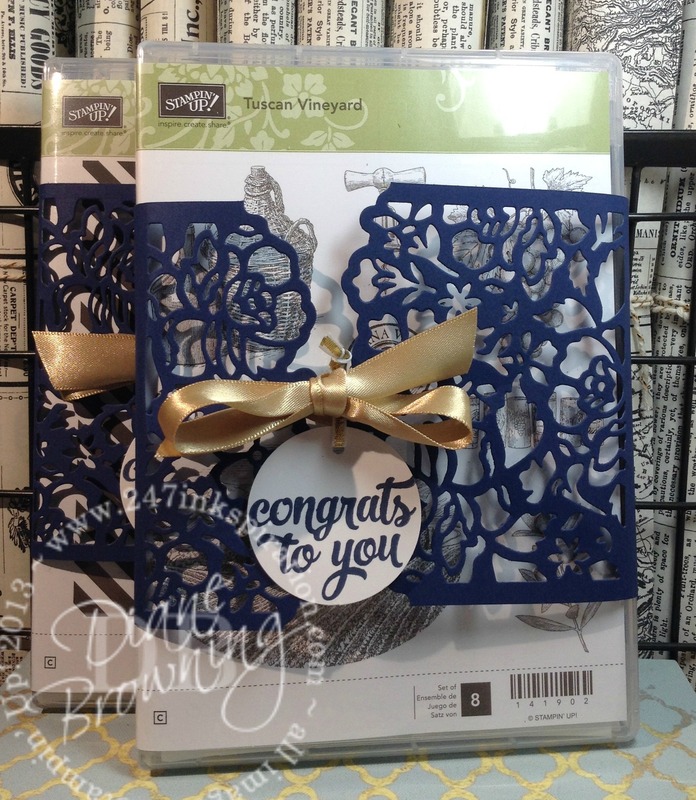 Then last year she decided to rejoin Stampin Up because she missed Convention and being a regular part of the group. We missed having her as a regular part of the group too and we’re glad she’s back! I could have just given her a plain package of rhinestones, but for a paper crafter it’s all in the packaging. Seriously, sometimes I think we could give each other empty bags and boxes and we’d still be just as thrilled because of how incredible the packaging is. I love these dotted bags and stocked up on them before they retired at the end of May. They are a great size for a small gift. The Night of Navy card stock is wrapped around the bag. I used the brand new Detailed Floral Thinlets to cut out the flowers. I was inspired by one of the cards in the Catalog on page 76. I didn’t have all the supplies they used so I used what I had. The Gold Satin ribbon holds it closed. If you’re going to do this too, remember to be very gentle when tying this ribbon or you will rip the card stock. In May, I had a special contest for our Downline Group. The prize would go to the Downline member that had the most stamp sets retiring from the 2015-16 Annual Catalog. The prize was a $20 stamp set of their choosing when the new Catalog started in June. The rules stated that they had to private message me their total number of retiring stamp sets and could not post it in our private Facebook Group. I wanted to keep the winner a secret until I had the final count in from all those participating. Well, I had two ladies that were within two stamps sets of each other so I added a second place for a $15 stamp set. I used almost the same exact packaging, except for the dotted bags. Unfortunately, the bags are just a little too small to fit the stamp sets. Annette designed our make & take for the meeting and love what she came up with. The Painter’s Palette stamp set has so much potential. There are so many things that you can put in the canvas – the ideas are endless. She designed what could very easily be a shaker card, but left off the clear window sheet. We cut out the square in the canvas and the “thank you” is mounted on the recessed portion of the card. Then we punched out a bunch of flowers and layered them across the front of the card. 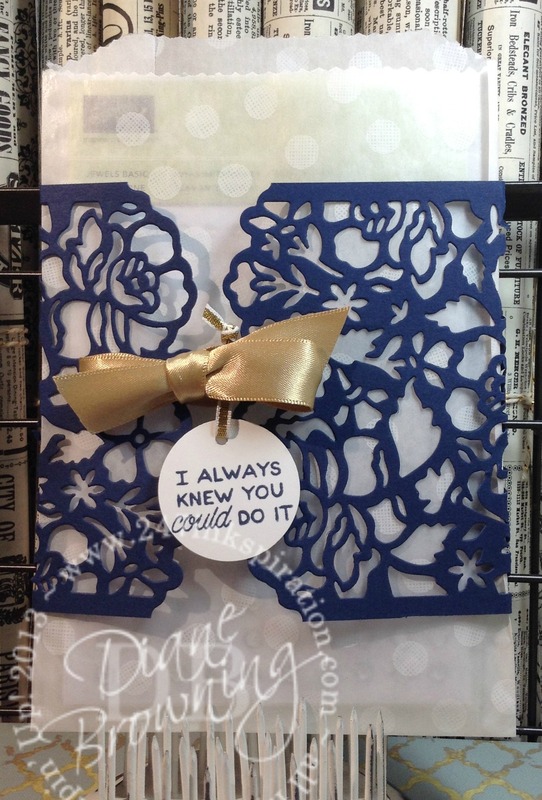 This is one of those cards that has a nice “wow” factor but doesn’t take all night to make. Love it!